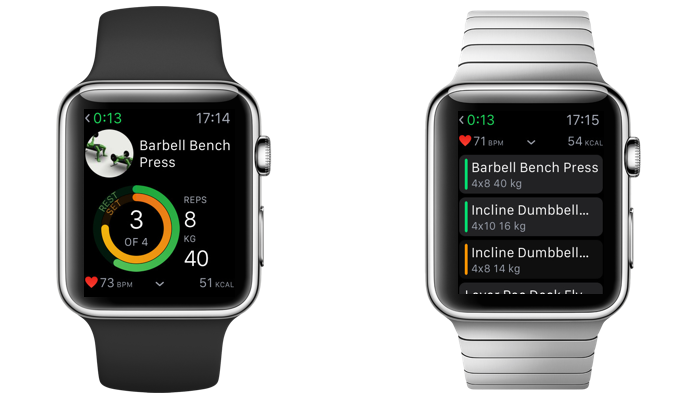 Are you looking for a better workout app for your Apple Watch? 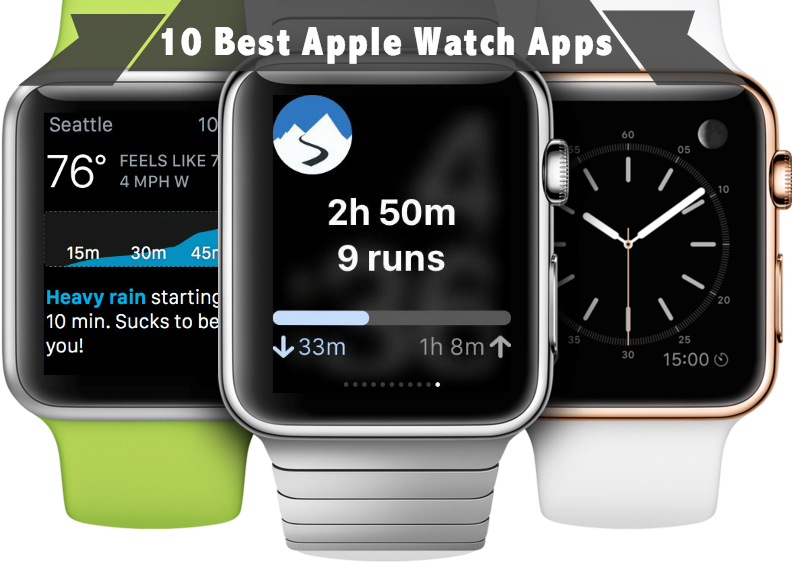 Luckily there are many alternative apps to choose from on your Apple Watch such as Gymaholic, Nike+, Run Keeper, Strava, Map My Run, Misfit and more. 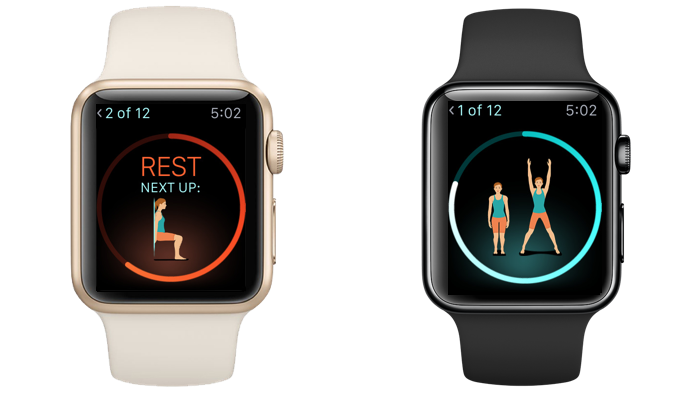 Many users of the Apple Watch report that the workout app is not always good enough as it does not do things like tracking your sleep or log workout sets, reps, and help you make weekly workout routines. Other people simply don't like the UX as it might not be convenient for a runner to swipe the screen, and some basic things are frustrating like where about finding your saved workouts. 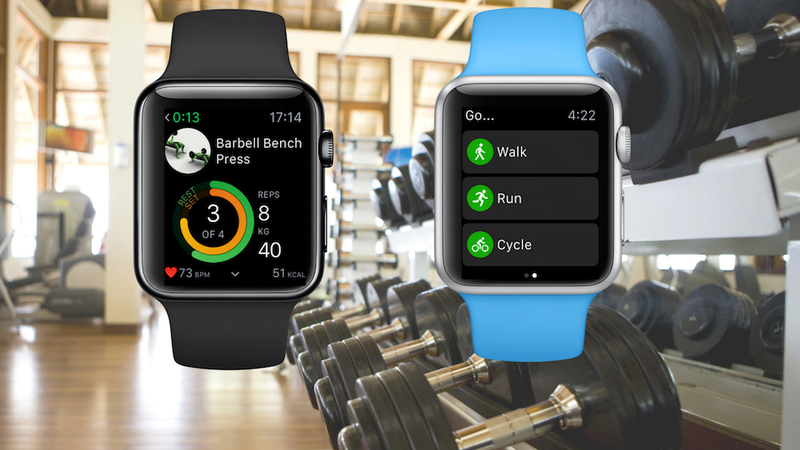 So, what's the best workout and fitness app for the Apple Watch? Gymaholic is a great app for those who want to track their gym activities. You can quickly view exercise sessions on screen with other important things like number of sets, repetitions as well as weight information. It also counts how long you're resting in between your sets to keep you on track. Gymaholic also makes it easy to track your exercise, to see what you have completed and what's left. 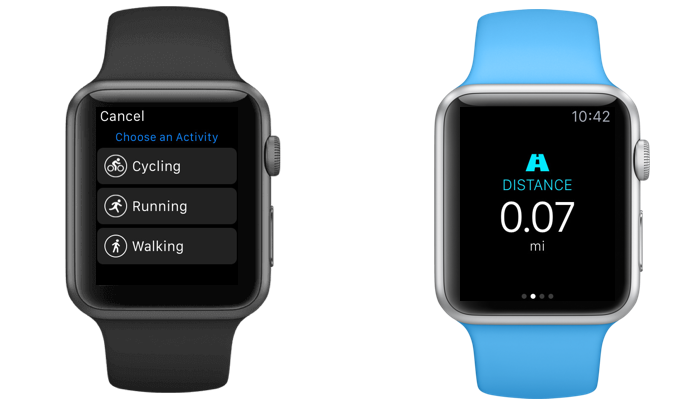 Nike has had a running app for iPhone for quite some time now, and if you're familiar with it then you'll love the companion app for Apple Watch. It's simple with large text, and you can see a map of your run which is amazing. Lark takes a completely new approach to helping you diet. 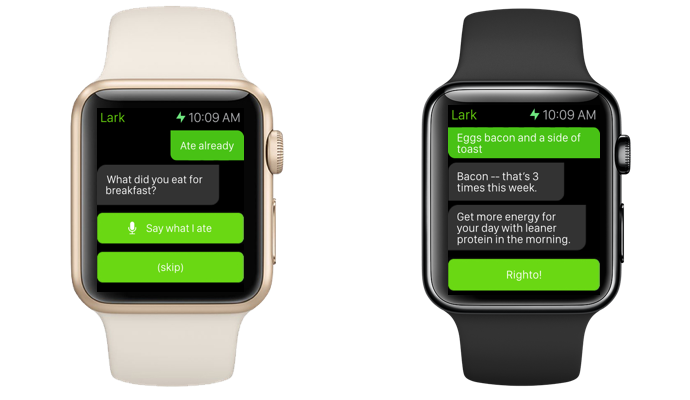 Lark is a personal coach and bot that can chat with you during the day. It asks you things about your day like meals, snacks, and drinks. Based on everything it learns, it will make recommendations on how to life a healthier life. You can also change your goal depending on your fitness goals. If you choose “weight loss” it will prioritize nutrition in the app, while “getting fitter” or “staying healthy and happy” will ask less questions about food and nutrition. With Runkeeper, you can have all the info display on one screen, instead of having to swipe for it on the stock fitness app. This is one thing that bothers runners, especially when the touch screen doesn't respond to sweat. 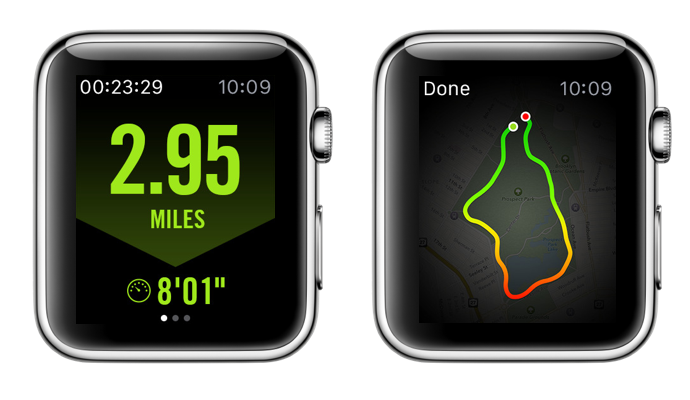 Displays your pace, heart rate, total time and distance all on one screen. Strava is a great running app and cycling for many reasons including the nice clean interface and full of functionality, and also because it has an "auto-pause" feature. So if you're not moving, it won't count as part of your run. 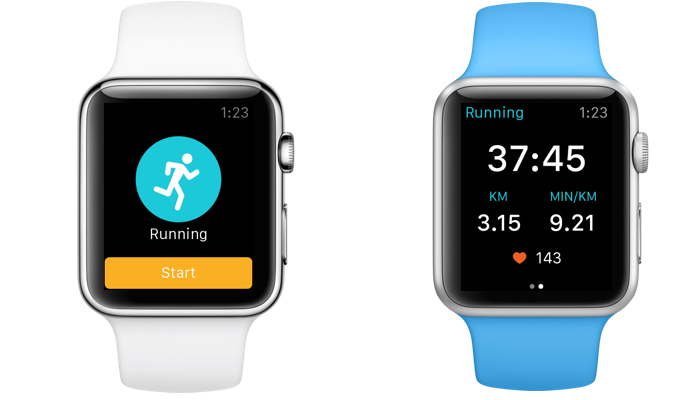 My My Run is another running app on the Apple Watch. It's really clean and simple, easy to use. You just open up the app hit start and you're off and running. As you go, you have dedicated screens for distance, duration and calories burned. You have to swipe through them so if you're not a fan of that, check out other apps. There's a bunch of different "quick exercise" apps for the Apple Watch, such as Carrot Fit, Misfit Minute, or Pocket Yoga. 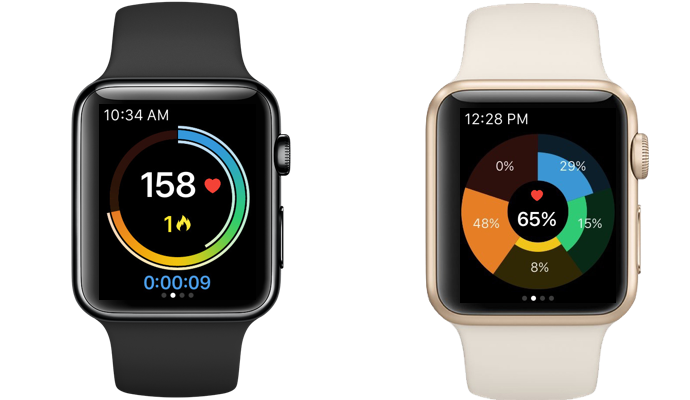 However the 7 Minute Workout app takes advantage of a the newest features of watchOS 2, which means you can check your pulse and also add complications to your face. 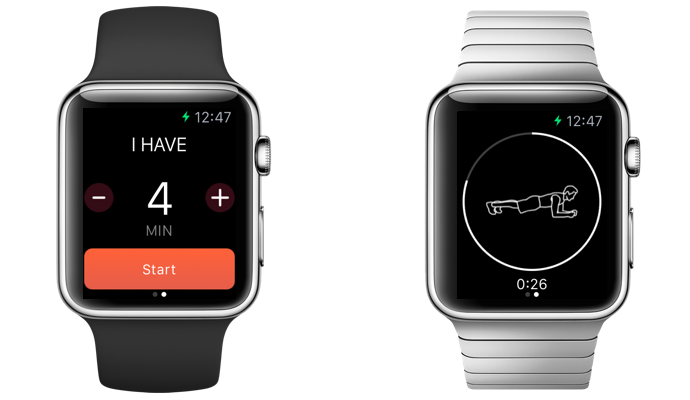 It's also connected to HealthKit so your workouts will help fill your exercise rings and get to your daily goals! This app is similar to the 7 minute workout, except you can tell it how much time you have. With the MisFit app you can select the length of your workout and the app guides you through a series of excercises in that length of time. MoFit is a nice app that really visualizes your heart rate, to try to keep you in your optimal zone and know when you get close to "red line". Another great feature is being able to import data from Health app and it will give you a nice visual analysis of your run. Trails is an outdoor fitness app to track your trail walks or runs. 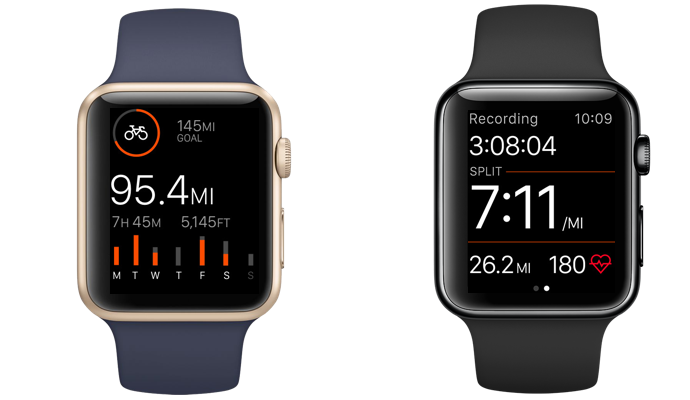 It uses live graphs and offline topographic maps, create waypoints and choose from more than 20 stats like heart rate, speed, and more. 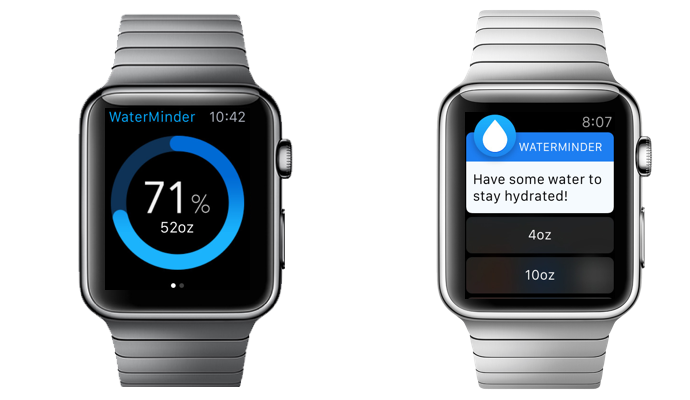 Water Minder will do one thing very well - remind you to keep hydrated throughout the day. Every so often it will remind you to take a drink, and you can keep track of how much water you're drinking throughout the day. 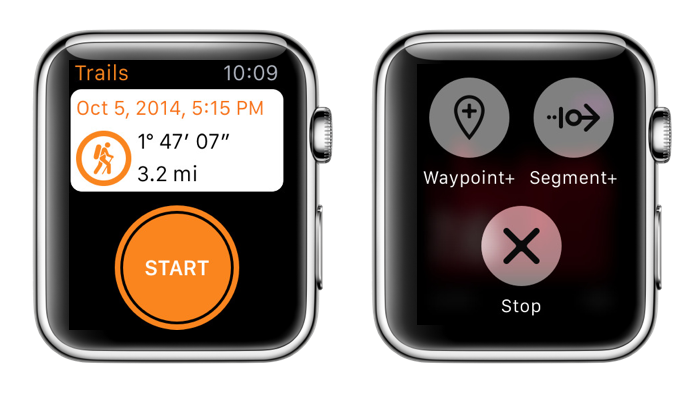 You can also set complications to quickly be able to see where you're at for the day. There is also the ability to customize the size of your bottle or typical glass of water.